I’m continuing with my theme of responding to your emails about your biggest site issues. A handful of you mentioned that you are struggling with ranking and optimizing your pages (specifically meta tags and understanding how on-page factors influence your rank). Meta tags are descriptors within your page’s code. The search engines read them and also display them in the results. Some of you use plugins like Yoast or All in One SEO, and they let you manually enter data for these tags. Or if you have a StudioPress theme (affiliate link) like me, the fields are built into the WordPress editor. Yoast has a Content Analyzer that encourages you to optimize your meta title, description and other on-page factors. I must say. Even though I don’t use an SEO plugin, I do think there are helpful aspects of Yoast, and they keep the plugin up-to-date. But I’ve also noticed many assume meta tags carry more weight than they actually do. I’ve known people to completely stress themselves out over what to enter in those Yoast fields. You should review Google’s guide that explains how they use the data. If you’d rather watch the video version, see below. If not, continue reading. 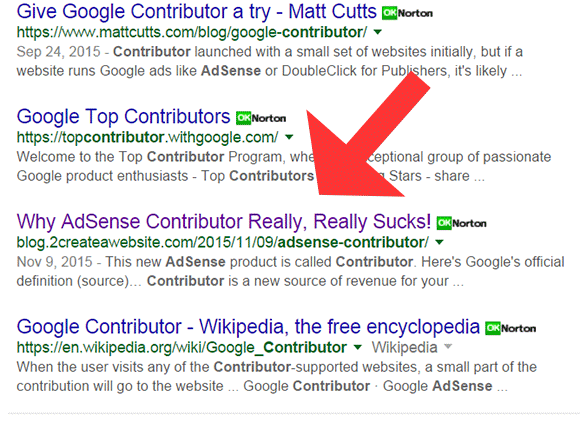 If you didn’t get the memo, high quality links are what drive the top 10 results now. So if you are trying to rank for a competitive keyword, it doesn’t matter what you put inside those meta tags, you need strong links pointing to your site. And don’t forget about internal page linking too. Now, if it’s a less competitive phrase, then the content on the page and meta tags play more of a role. But once your content is actually ranking, you can use your meta title and description to get more clicks by making them more engaging. That’s where the real value lies. Well here’s how the post looks in the results as of November 23rd. Are the meta tags helping me rank? The meta title helps, but largely because I targeted a keyword with low competition. Also, I don’t even have a meta description. No real reason other than the fact I just forgot to add one. I do this a lot. But notice the title above. I wanted to write something that really stands out so if it does rank, it will give people a reason to click. To me, that’s the real value of meta tags today. It’s not just about entering your target keywords. Type something interesting to get people’s attention. Ten years ago, I would put more emphasis on the keywords I insert. Now I look at them more as an assistant for getting clicks once/if the page ranks well. Yes, they still have value (except for the Keyword tag and engines admit they ignore it), but I personally feel the title and description are more helpful AFTER your site ranks. And be careful of stuffing too many of the same keywords into these tags. This can actually cause a penalty if you overdo it. Thanks, Lisa. I totally agree. I think for competitive keywords, you really need strong links and a good web present to rank for. Meta-tag are useful but not the most important part of SEO. It seems like meta tags works within the blog, and help audience to become easier searching for posts they want to read, but never thought it would be work for search engine, thanks. I have taken the position these days, that while SEO elements such as page titles and descriptions play a factor in ranking (or click through for the description), there are over some 200+ things that effect ranking and they must be given attention to. At least the top ones. Things like page and domain authority; engaging content, even social signals all play a part… And of course “True” link building. Bottom line ==> I Hate It! I am in a confusion after reading your article. I am using youst Plugin for my site. I do not use custom meta description or meta tag but i took help be assure how quality article actually i am posting. Now i am confused about using it. If it becomes threat for my Site ranking i will stop using youst. can you tell me what should i do now or make me little clear about it . You said meta description is what ranks our blog first on Google.So can’t we rank our site with highly targeted keywords or lower targeted keywords works better the higher targted keywords . Please also tell “How to use lower targeted keywords in post ? No I said the meta description isn’t always a factor. In fact, most times it isn’t. You may want to watch the video again. I use Long Tail Pro software to discover keywords that are not as competitive. I am pretty peeved off with Yoast at the moment, I’m not sure if any one else is? Their latest update is a load of BS because I can’t even no-index some of my pages. I had them all nicely perfected ie which ones I wanted indexed and which ones I didn’t want indexed. It can only be done in one place now and that’s in their SEO settings, but if I tick the box to no-index my pages, it will no-index them all, it doesn’t give me the option to no-index individually. Rubbish – utter rubbish. I need another, do you know of a good one? That’s one of the reasons I don’t use a plugin. The StudioPress themes have the no-index and meta tags built right in. The other thing I noticed about the new Yoast Update (I installed it for reference for this post) is that it’s not intuitive to enter the meta description. I had to Google it to figure out you now have to click the snippet to add it. Huh? Great information as always Lisa, by the way could you share why you don’t use the Yoast plugin? I think SEO plugins are bloated and the only thing I really valued (the ability to add meta tags) is something that my theme already has built in. And I already have a sitemap plugin. So really no need. Nice one Lisa, i think Edos Ubebe is right,going for less competitive keywords help rank faster. Hi Lisa, Other wonderful articles from you. I don’t like to comment about what you quotes. To my task. But the BOOST coming from you gives me a push up. Hi, Lisa, and how are you today? In previous years, I been on this path of getting nowhere. Until I discovered your site as you begin to lay some foundation down for me. You mentioned that we have to find our own way in creating success from online. And that our topic of choice has to be defined — narrow, the better. Thanks to you, I’ve been able to achieve both goals. That being said. SEO is now the most top priority for me because I expect to get some of that free organic traffic one day. Soon hopefully. Now! I’m focusing on understanding SEO better along with figuring out the plugin I’m using too. I use one of the SEO plugin’s developed by Yoast — and I love it! I don’t really have problems understanding meta tags; description, title tag, keyword phrases, etc. But, there is always room for improvement. I am also considering to take you up on using the Studio Press theme as well. Thanks for the heads up. And I loved the video too, and your 2 cents as well. Anyway, GREAT post, and I’ll be looking for the next one. PS: I took a lot of good notes. What a nice comment, Kevin. Thank you so much and glad you’re making progress. Thanks Lisa, good info on this topic….no worries if yoast plug-in users do not have all the green dots before publishing. Thanks for your 2 cents Lisa. I always enjoy you observations. I appreciate your professionalism. You are truly one of the greats in this business. Hello Lisa is my pleasure to write to you I enjoyed your recent post but my question is can I earn money from people liking my Facebook page? After reading this I’m stuffed! Ha couldn’t resist…great article, makes me realize I need to work on titles. Heh heh heh! Happy Thanksgiving Justin. Yet another awesome post Lisa. I’ve come to realize that in order to rank well in the search engines, one needs not to go for highly competitive keyword because there’s a better chance of ranking for low competitive keyword or what do you think? Bingo! Yes that definitely helps. Thanks so much Lisa for taking your time to respond. I appreciate it. Thank you. Not having to worry about matching up keywords in our meta tag area feels like freedom to by myself on my blog. I used to have a rather long explanation, describing the site purpose. Your post “Does the Fear of Your Website Failing Paralyze You?”, really inspired me to get rid of all that wordiness and instead put something encouraging for my visitors instead. “Don’t be afraid – GO FOR IT!! !>>><<<HAPPY THANKSGIVING"
Isn't Freedom to be yourself and simply engage wonderful? and everyone else as well! I think if you don’t have an XML sitemap and want breadcrumbs, and a place to enter meta tags (when your theme doesn’t have one) then there is value. But a lot of newbies feel that they will substantially improve your rankings. I just think they are bloated and the parts I would value most are already included in my theme. That’s why I don’t use them.